"Our client's come first and are always kept well informed of the progress of their case." Every client is treated with courtesy and is guaranteed effective representation. 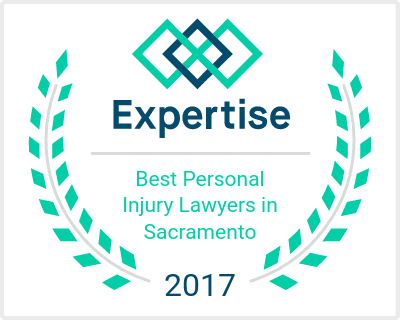 Our expertise and integrity have earned us a reputation as one of Sacramento's most experienced, ethical and trusted law firms. We have a consistent track record of obtaining successful results for our clients whether through settlement, arbitration, mediation or trial. We have more than 20 years of experience in personal injury law and civil litigation devoted exclusively to persons injured in auto accidents, motorcyle accidents, dog attacks and premises liability. We repeatedly receive compliments from our client's regarding our legal work on their cases. Here are just a few examples of actual statements made by our client's regarding our legal work: "You are the best lawyer we have ever had" - "I really appreciate how you keep me well informed of the status of my case" - "I could not have achieved the results you obtained without you" - "You are a wonderful attorney"
We also receive compliments from attorneys whether or not they are on the opposite side of one of our cases. Here are just a few examples of actual statements made by other attorneys about James Dighero: "I appreciated your advocacy and professionalism" - " I can show you a number of attorneys in town who would not have gotten one-half of what you got for your clients" - "Unlike many attorneys, James Dighero truly cares about his clients"- "James Dighero is a fierce attorney"- "Simply stated, it was a pleasure doing business with you" - "You take cases to trial"
The Law office of James E. Dighero is devoted to achieving the best outcome for every client. Content copyright . James E. Dighero, Sacramento Auto Accident and Dog Bite and Personal Injury Attorney. All rights reserved.